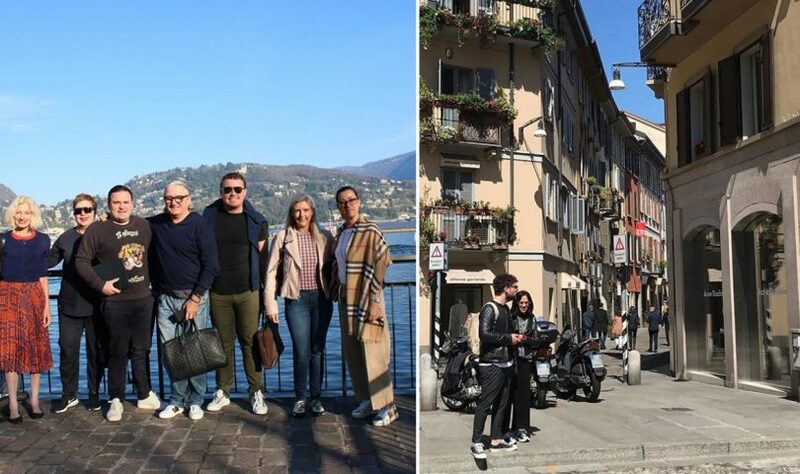 Four cities that are home to biggest fashion events of the year, New York, London, Milan and Paris have had the most stylish people in the world staying on their doorsteps in recent months. 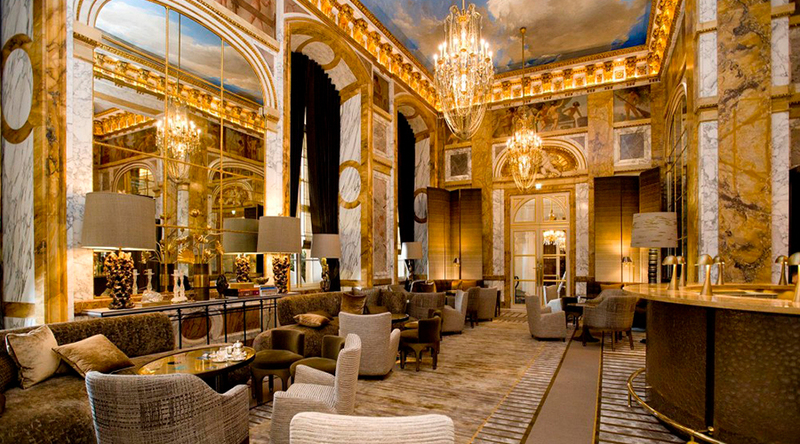 Descending on each city to sit front row at the greatest designer shows and dine at all the Michelin restaurants, it’s no wonder they also choose some of the most fabulous hotels to lay their heads. Starting off the circuit in the Big Apple, New York City is home to a plethora of hotels that range from the more bohemian and boutique to the opulent and the extravagant. The fashion pack also carry this varied inclination, which is why there couldn’t possibly be just the one hotel in which they stay. Just around the corner from Katz’s Deli in a red brick building, the Ludlow Hotel on the Lower East Side is a favourite among the younger crowd thanks to its Parisian-inspired bistro, Dirty French, and the option to stay in either a studio, terrace, loft or penthouse. 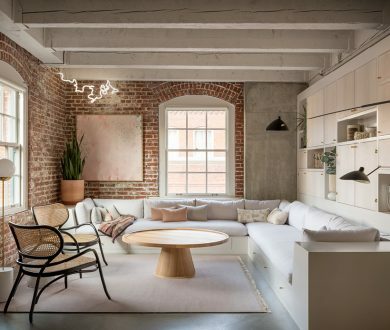 Each has incredible views of the city and are all decked out in designer pieces — ornate lamps, chandeliers, sheepskin rugs — sourced from Morocco, India and Indonesia. 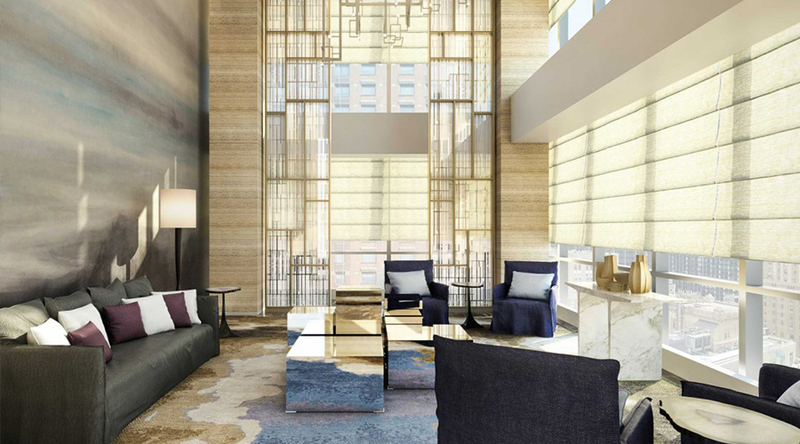 The Park Hyatt in Gotham is also littered with celebrities thanks to its super sleek, five-star accommodation offerings. The structure is designed by famed French architect Christian de Portzamparc and the suites by Canadian design firm Yabu Pushelberg. 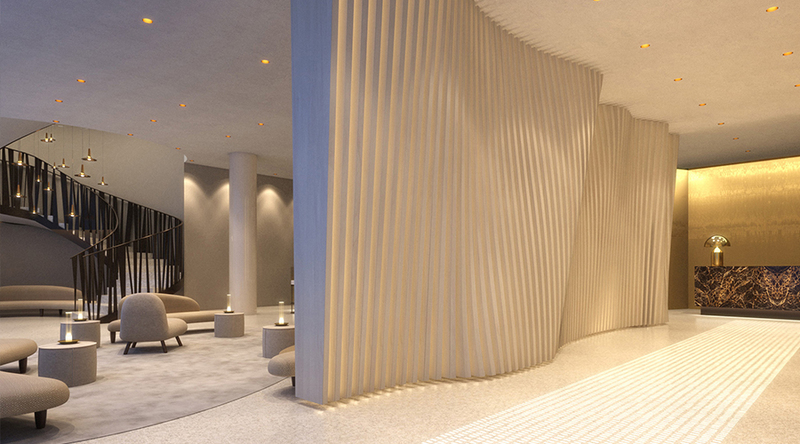 Each and every detail offers an unparalleled, luxury stay. The swimming pool on the 25th floor is a standout, hanging almost 20 metres above the street it faces Carnegie Hall and when underwater, classical music inspired by the iconic maestros play. 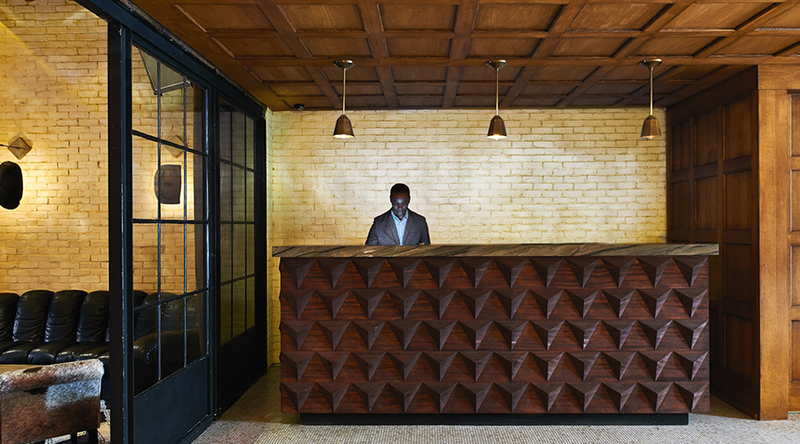 Aside from the sleek marble walls and neutral colour palette, there are the Narcisco Rodriguez-designed staff uniforms, and when checking in you are greeted by staff with iPads at the ready (there is no formal check-in desk allowing you to be whisked away to the room with ease). The number one destination for those descending upon London, has always been (and most likely always will be), Claridges. 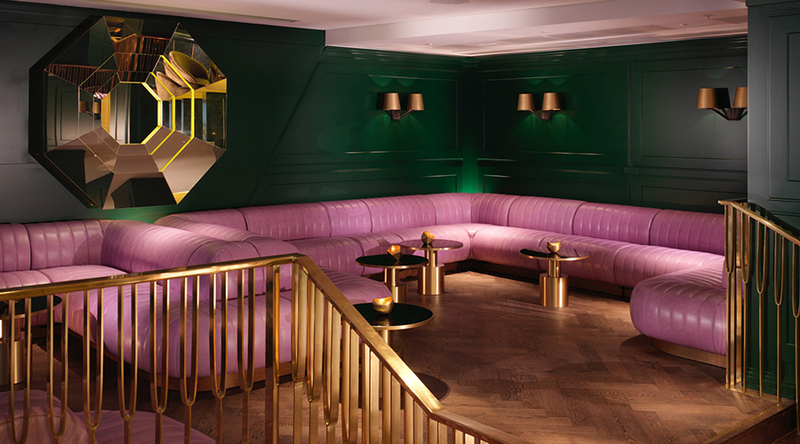 It offers five-star luxury in the heart of Mayfair and is renowned for abiding any request, no matter how outrageous. With long-standing connections to the royal family, it’s no wonder it draws in the fashion crowd. If you have the pleasure of staying, you’ll find Burberry trench coats in the walk-in closets (which if you decide to keep, is perfectly fine), traditional European decor and plush four-poster beds. 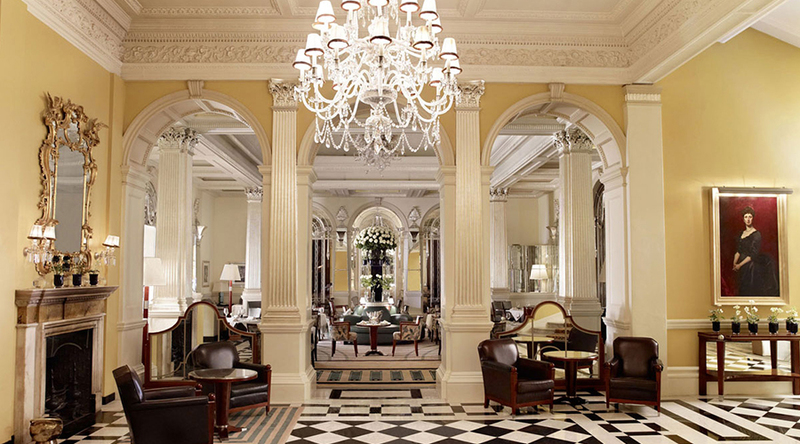 For Claridges, luxury lies in the convenience, not the opulence. For those drawn to contemporary accommodation, The Mondrian at Sea Containers on the Southbank offers a striking and eclectic vibe with unique views of the River Thames. Working with Design Research Studio and British design house Tom Dixon, the interior is sleek and eccentric at the same time. On arrival, your eyes will be immediately drawn to the giant, copper clad wall inspired by the hull of a ship that runs from the outside of the building through to the lobby. The specialised treatments at the underwater spa is a favourite feature among guests, while the Rumpus Room, with its glass box structure and the outdoor terrace, is one of the most glamorous spaces. The Four Seasons on Via Gesù is where Claudia Schiffer had her Vanity Fair interview and where Donatella hosted a post-show dinner for the O.G. supermodels, as well as the newcomers (Kaia Gerber, Gigi and Bella Hadid etc.) 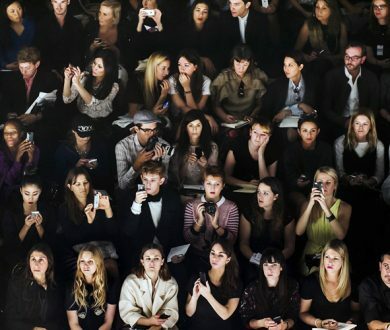 at last month’s fashion week. 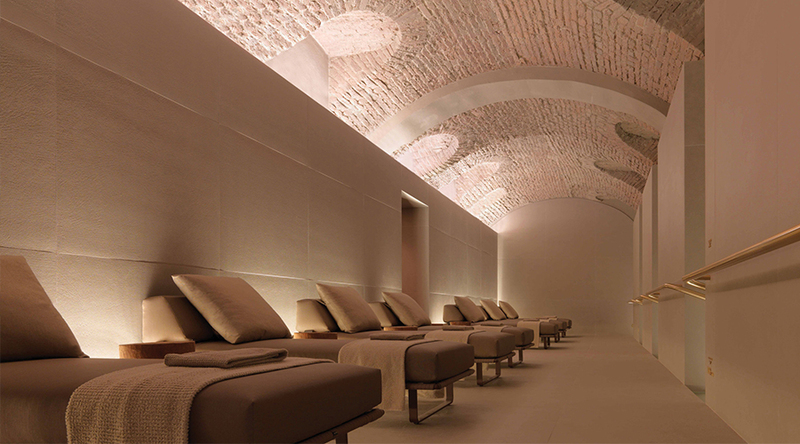 Here, you’re in the thick of fashion’s deep Milanese roots, and it helps that it has five stars, three excellent dinings venues, and an unforgettable, 15th century cloistered and landscaped courtyard. What is a hotel worthy of fashion royalty without a rooftop bar? The answer: it’s not. 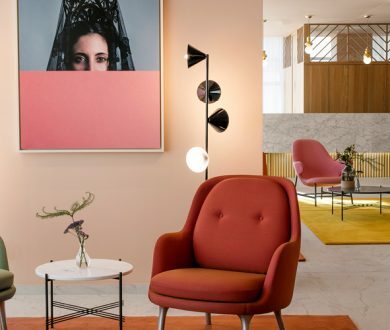 Thankfully the chic luxury hotel, ME Milan Il Duca, situated just north of the city’s famous design district Brera, follows in the footsteps of its acclaimed London counterpart with the Radio Rooftop Bar. With cocktails, tapas, deep house music and a panoramic view, if offers Milan’s fashion-savvy vibes at their finest. 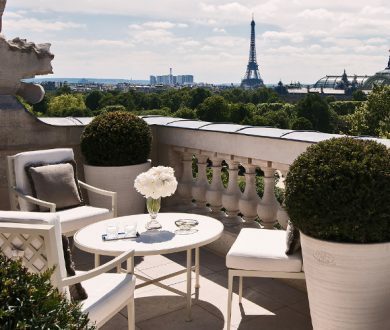 Having just reopened, this Rosewood-owned and operated Hôtel de Crillon is worthy of a pilgrimage for fashion disciples, namely for its Karl Lagerfeld-designed suites. 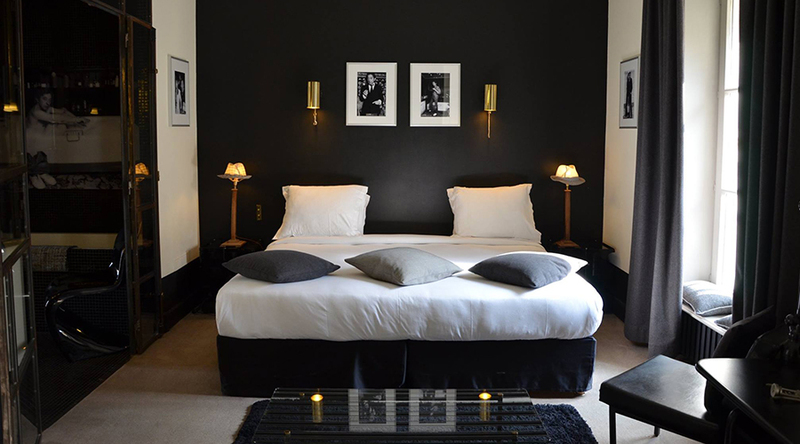 The Grands Appartments comprise a set of two suites and a room overlooking Paris’ Place de la Concorde. Guests can expect majestic views, hand-finished wood panels, Baccarat chandeliers, some of the designer’s favourite books, a walk-in wardrobe and sumptuous marble bathrooms featuring products from L’Officine Universelle Buly. 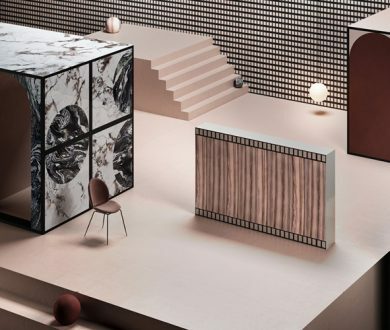 One of the rooms in the ensemble is a witty nod to Choupette, his famous feline, featuring wallpaper and carpeting in jagged vertical lines mimicking fabric ripped by cat claws. Framed shots by Lagerfeld are also seen throughout. If the first arrondissement is too much of a stretch financially, Hôtel Particulier Montmartre has been a longtime favourite of the fashion cognoscenti. Characteristic of its name, this grand townhouse is well suited to its colourful Montmartre surrounds. Drawing a well-heeled crowd for brunch on Sunday, this is the perfect residence for those looking for something youthful and different. There are only 5 suites available, however, each individually styled and decorated by local artists.